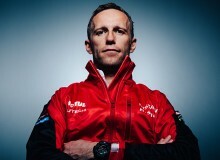 Britain’s 2009 Formula 1 world champion is taking part in all eight rounds of Japan’s premier racing series: Super GT. A field of 44 cars divided into two classes, GT500 and GT300, the former features teams supported by Japan’s big three manufacturers: Nissan, Honda and Toyota (Lexus). It is the fastest production-based sports car racing series in the world but these 600+ horsepower beasts have little in common with their road going counterparts. Fresh from a great second place driving a Honda NSX-GT at the opening round in Okayama, Button sat down for a coffee at the New York Grill in Park Hyatt Tokyo to talk about the switch from open-wheel racing to tin-tops. 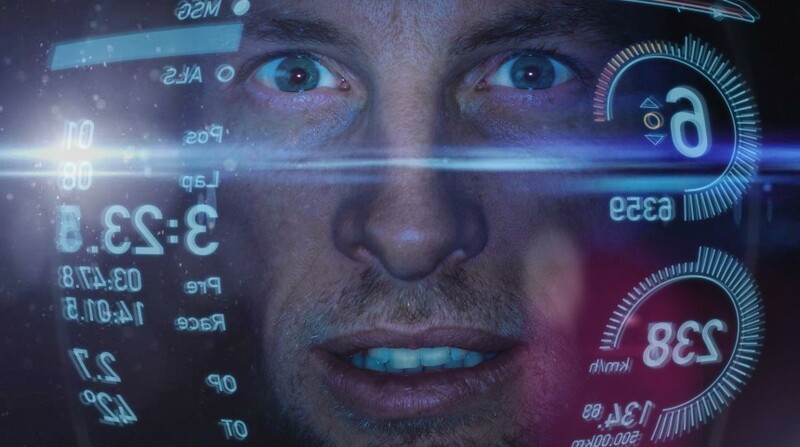 Metropolis: So Jenson, what has attracted you to come and race a full season in Super GT? Jenson Button: There’s so much action in the races and something that I was very excited about, coming to Super GT, is that fight. The lap times they produce is super fast. For me, that’s very special. To be within a car, not in an open-wheel car, and have that speed and that downforce is pretty awesome, and very specific to Super GT. M: How did it all come about? JB: One of my best buddies tested in Super GT around seven years ago. I took an interest in it and I’ve watched every race since. It’s just action packed. In Super GT every race is just manic and racing in it, now I’ve realized, is even more crazy. I spoke to the boss of motorsport Honda [Masashi Yamamoto] a year and a half ago and asked if I could test the car. Drove it, absolutely loved it, and he’s been pushing for me to race this season. M: Why Team Kunimitsu in particular? JB: I really wanted to be with a Bridgestone car. It’s a company I’ve worked with for many years, and I felt like they were doing a great job with Super GT. Then I spoke to drivers about who would be a great teammate for me who speaks English and is super fast and they all came back and said Naoki Yamamoto. I watched his racing and the guy is lightning quick, confident and has a lot of experience. I also had a soft spot for the team, Mr. Kunimitsu is an absolute legend and such a lovely person. M: How would you describe Japanese motorsport culture? JB: They’re very passionate. I remember when I won my first Formula 1 GP for Honda, actually my only GP win with Honda, back in 2006, and it was their first win since the sixties as a team owner. To win that race for them back in 2006 was very special, to see the Japanese engineers in the pit-lane, to see the excitement of winning, they’re all balling their eyes out. There’s so much passion, so much love for motorsport. They arrive in Honda at a young age and once you’re a Honda employee, you’re a Honda employee for life basically. So that’s why I love racing for a Japanese team because in a lot of countries people poach engineers etc. 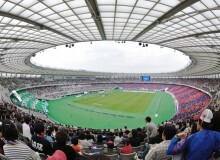 from different places, whereas it’s very different with the Japanese teams. I love that about the culture here, and in terms of the way they go racing, it’s about pure racing and that’s what I live for. M: What has surprised you the most so far? JB: The talent. You have a lot of overseas drivers like Nick Cassidy (reigning GT500 champion) and Ronnie Quintarelli (four-time champion) but they were competing against the best of the Japanese drivers. I come from F1. Best drivers in the world, supposedly, and you come here and it doesn’t feel any different, you feel like you’re racing against the best. M: Is there more pressure on you because of your background? JB: Personally, yeah. People expect you to be on it straight away and you come to a category like this and you’re not on it straight away, it takes time, and every other driver that has come to race here has realized that. It’s super competitive, and with these cars you have to just throw everything else out of the window that you’ve learnt because this is completely different to anything that I’ve driven before, so it took time but I’m definitely up to speed now. It’s a big sport in Japan, and I think it doesn’t get the recognition it deserves outside of Japan because it’s a very special category. Hopefully with me coming to race here it will bring a lot more interest to the series. M: What’s different between F1 and competing in Super GT? JB: The racing is fraught, because you have the two categories (300s and 500s). You might make 200 odd overtakes, if not more actually. The thing is here there are no blue flags (indicating being lapped) so the 300 cars don’t have to move over, you have to fight your way past them. You’re obviously looking in front trying to find a space to overtake and go round but you’re also looking in your mirrors because you’ve got cars that you’re racing trying to overtake you as well. I was laughing most of the race (in Okayama) thinking this is absolute chaos. It really is, but I think it makes for great racing. Even with the experience I have I’m still learning, which is what I love. In the end you will get used to it but it takes time to do so, and that’s what I love about motorsport and that’s what keeps me interested, I’m always learning something. M: How about the atmosphere at the races? JB: The start line on the grid is just full of fans. I’ve never experienced that before in my life. You’re trying to get ready and go in the car and you’ve got hundreds of fans around the car shouting your name for a picture and it’s lovely and all, but it was quite full on for my first race. It’s a very special atmosphere, if people come to a race they will get a full experience. It’s not like in Formula 1 where you see it on TV, you see all its glamour, you get there and if you haven’t spent a couple of thousand dollars on tickets, you’re not gonna get that feel that you see on TV. Whereas in Super GT you get exactly what you see, which is great. M: Unlike in F1 you have to share the car with a teammate. How has that been? JB: The only struggle is that my teammate is a lot shorter than me (about a foot). Initially I jumped into the car and the only thing you can change is the foot pedals, so I go as far as I can and it’s still quite tight. I’m like this (all scrunched up) and I’m thinking, “Ok I’m gonna try my hardest to drive it like this,” but after a couple of days testing, my elbows were starting to get sore and my wrists were just so twisted up and I’m like, “I don’t wanna change his position because this is what he’s used to.” But in the end, I was like, I can’t drive like this, so I spoke to him and we ended up compromising on the steering wheel, in a position that works for both of us. Apart from that, it’s been great because normally in F1 your “teammate” is not really your teammate, its your team rival because he’s the guy that has the same equipment as you so he’s the guy you have to beat, whereas in super GT I’m very lucky to have someone like him as a teammate. I think we can have a very special year together. M: Who would you like to see coming over and competing here with you? JB: I’d like to see any F1 driver jump into one of these cars and think it’s easy, because its not, its unreal, it’s a real beast to drive, but I think that most drivers would love the atmosphere when they come over here. You get in the car, you drive it, you get back in the truck, you do engineering for five minutes, it’s so relaxed. I’d also like to see Takuma Sato race in Super GT, we were F1 teammates 15 years ago and it would be nice for him to come back and race for Honda. M: Do you miss being in F1? JB: I got offered a couple of drives to race in F1, actually more than a couple, for the 2017 season, but for me it was the right time to leave. As much as I said after the race “I’m glad to get out of F1,” I was just happy with everything I’d achieved. Do I still take an interest in F1? Yeah, I do. It’s interesting to see who’s competitive, changes that are made etc. 20 years later the same arguments are still going on. It’s hilarious. I won’t watch a whole race but I’ll watch the highlights and qualifying. It is still the pinnacle of motorsport in terms of technology and also the money spent. It’s out of this world compared to anything else. M: If there was to be a Team JB in the future which series would it be in? JB: That’s a tricky one. Now I’m racing here, that would be one possibility. Formula 1? I don’t think I would. I think the main one for the future would be WEC. I love the whole endurance thing. I love the team effort, it’s a very special atmosphere, so that would probably be where I’d want a team if I was going to be a team owner. M: What are your thoughts on the halo (safety device)? JB: I completely understand why it’s there and I think there have been too many incidents and fatalities of bangs to the head, you can only make a crash helmet so safe. But, just as a design, it’s just the most hideous thing that’s ever been put onto a race car. M: Is there an acceptable level of danger that needs to be inherent in motorsport? JB: There will always be danger and you’ll never get away from it, and I think they’ve done the right thing of putting a safety cell around the drivers head, you can’t just keep going and having fatalities and thinking “oh it’s just part of the game,” you need to do something about it. But I still think it needs a lot of work, it’s ugly, so I think they need to come up with something better for the future and I think they have to, otherwise people will switch off. Visually a Formula 1 car should be stunning, the technology should be so advanced and with a tube of carbon fiber around the front it doesn’t look like it. M: You’re a keen athlete out of the car, how is that side of things going? JB: Well, I did a half ironman last year but it didn’t go as planned (he was disqualified for speeding during the cycling stage). I did all the training for it and now I absolutely hate training because of that! I was doing 20hrs per week, swimming 12km minimum, running 50-60km and cycling 300km per week. M: Sounds tough. Any plans to try again? JB: Not right now! Next year the world championship is in Niece so I might train for that, but I have to qualify first. I eventually wanna do Kona (which is the full Ironman world championship in Hawaii). I think it’s good to keep pushing and challenging yourself. M: What do you like doing when you’re over in Japan? JB: I just love walking around Tokyo. There are so many sights to see, whether it’s the beautiful Meiji Jingu Shrine, the one-off stores, or it’s just people watching. You walk around Shibuya, there’s one style, you walk around Harajuku, there’s another, and I really like that. Japanese people really take a lot of time and effort and take pride in dressing up and doing their makeup, and I mean the guys as well as the girls. I also really like going into the countryside because it’s so different to Tokyo, so far removed from anything that I’ve experienced in life and in Europe. It’s nice experiencing different things. Hakone — stunning. Hot springs are really nice. M: But what about your tattoos? (JB has a number of tattoos, including Japanese kanji-characters on his ankle which says Ichiban “Number One”—the name of Button’s triathlon team). Do you get special privileges? JB: No. I always ask when I go somewhere if it’s ok and most time it’s no [even in some of the hotel swimming pools and gyms]. So I always make sure I have a room with a hot spring in the room. That’s the only thing for me is a shame because I love hot springs. I also love the food here. I’m a big uni (sea urchin) fan. I’ll try anything. Natto, I love it. Big fan of soba. There’s a place in Roppongi that does it with uni on top and it’s probably the most expensive soba dish you’ll find, soba is supposed to be quite cheap but this is like ¥2,500. M: So how long do you think you’ll stay racing in this series? JB: In Super GT every driver is only on a one year contract and that’s perfect. This time in my life, I don’t wanna be signing a five year deal to do something because I don’t know where I’m gonna be in my head at the end of this year, but I have a feeling I’ll stay here for longer than one year though. I’ve really enjoyed it so far, and I don’t think it’s a category I’m gonna get bored of anytime soon. You can follow Button’s Super GT journey on his YouTube channel, Jenson Button TV, featuring race highlights with English commentary by Toby Moody and other behind the scenes features.